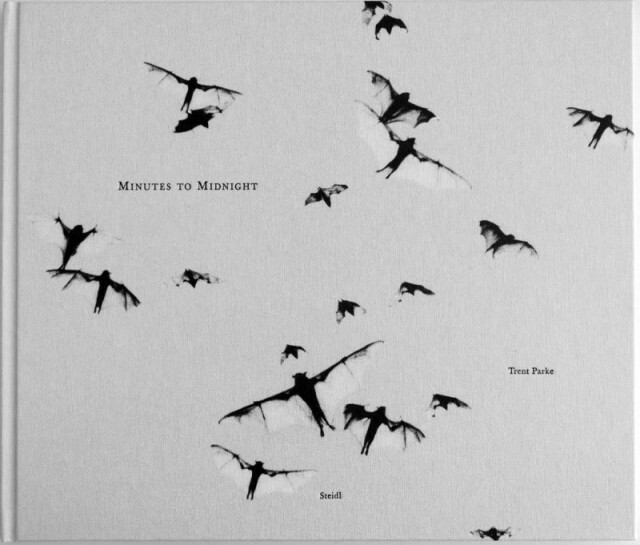 Trent Parke’s Minutes To Midnight is one of the most beautiful black and white photo books ever published and is considered a must-have by street and documentary photographers alike. Trent talks about spending 2 years on the road in Australia as he shot the images for the book and ultimately created the life of his son, Jem. Hit the jump to watch the video! 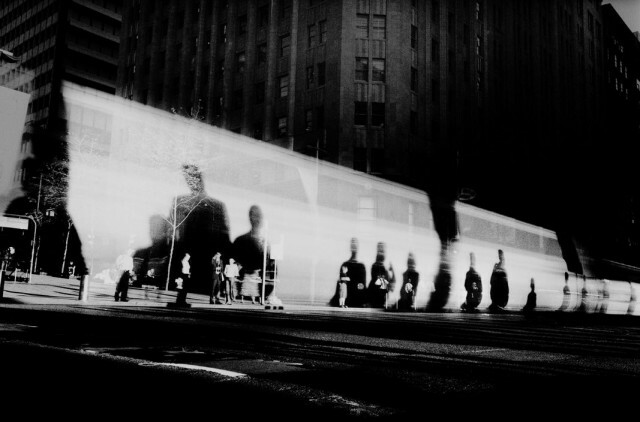 All images © Trent Parke. Honestly, I could watch this over and over. 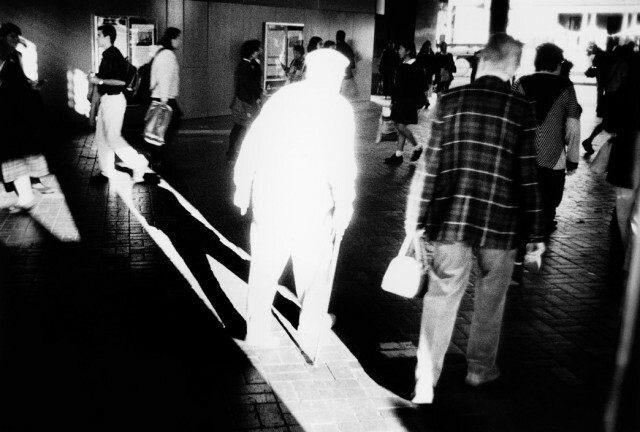 The simple pleasure of seeing Parke’s images as he talks about his process and the trials of spending 2 years on the road in Australia is enough to sustain even the most jaded street photographer. He’s a man who is not only passionate about photography but undeniably driven to create images that are as emotional as they are beautiful. This body of work is about the emotion of the time that we live in. It’s not about a physical sense, it’s about an emotional sense. And the subconcious and the thought of what might happen. It’s a document but it’s a fiction in a sense aswell. I looked at Minutes To Midnight as the way that I wanted to create it was almost like a film clip. I find it amazing to see how much imagery you can pack into a three minute song. And how effective that can be. And so Minutes To Midnight was that sort of style of work. I was trying to get images that had no real connection and then making a fictional, personal story out of them I suppose. AUSTRALIA. Western Australia. World Rally Championships. 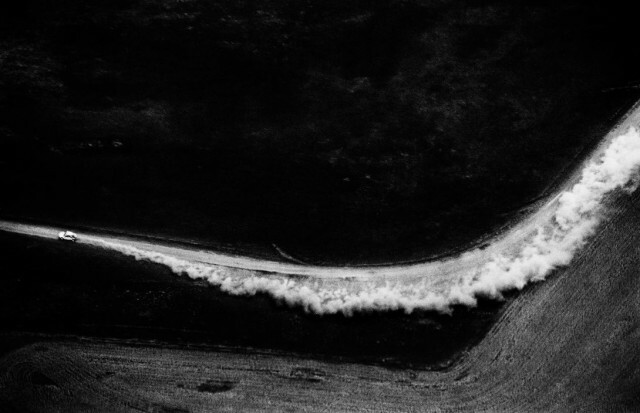 A rally car leaves a trail of dust over the open fields of Muresk, on leg two of the event. 2003. It depends where you come from and what you’ve been influenced with growing up, the reaction that you’ll have to specific imagery. Things that I’ll see, I’ll see a completely different picture. And when I’m photographing I’m not thinking of the car racing across the desert. I’m thinking of a wave rolling into a… It just depends what’s happened in your life to bring these sorts of images and what they conjur up and what they mean to a specific person. That comes from the depths of my imagination and where I’ve come from as a child growing up and what’s been influencing me over my life. AUSTRALIA. Victoria. Berwick Suburbs. 2004. I don’t take pictures for anyone else. It’s purely about an exploration of life for me. To be able to see, to go out and the camera helps me see things, you know? And things that if I get onto a certain theme with something. I may have had no interest in that whatsoever and just by using the camera and something coming back, all of a sudden it opens up a visual world that I might not have even looked at. And that’s what I love about photography. It’s my personal way of exploring the world. AUSTRALIA. Outback New South Wales. Menindee. 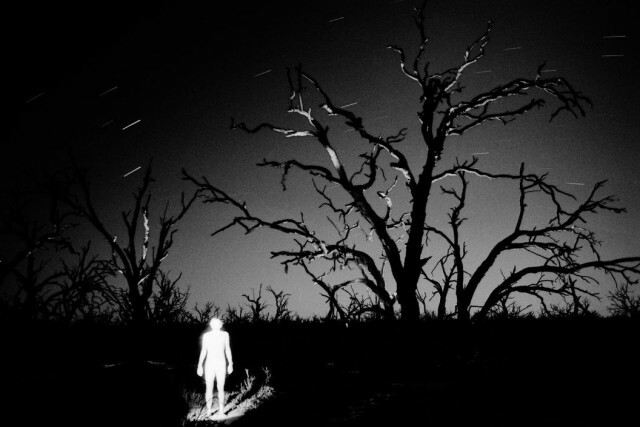 Midnight, Australian photographer Trent PARKE by himself. 2003. I am very happy. I love life. I absolutely love it, you know? I cannot wait to get up and get out the door and just watch and see. And to watch people and to see everything that’s going on. I love it. I love life. This book, you know, it could be interpreted in a way that I’m sort of down and black and depressed and I’m not like that at all. But I’ve had certain things and influences that somehow you put into pictures and their emotions. But on the other end of the scale I do really love being here on this planet and seeing everything every day. It’s the greatest gift. Light is everything to me as well. I mean it symbolizes lots of things but also it’s just a way of working is how it really developed. I mean Australia is bathed in light. It’s sharp, strong, it’s just so crisp, the light in Australia. There’s no pollution, everything’s clean and you get this very harsh sunlight. And most of the time it’s like that every day and especially when you’re out in the outback and places working. There are no clouds in the sky most of the time and as I said we had been in drought for a long time. So you’ve got to learn to work with light. That’s a difficult thing to go anywhere else in the world and try and photograph. I have to make sure I still have the right conditions. Because I rely on light. I will have a patch of light that I will sit on and I just watch that piece of light for, like I mean, light moves fast. 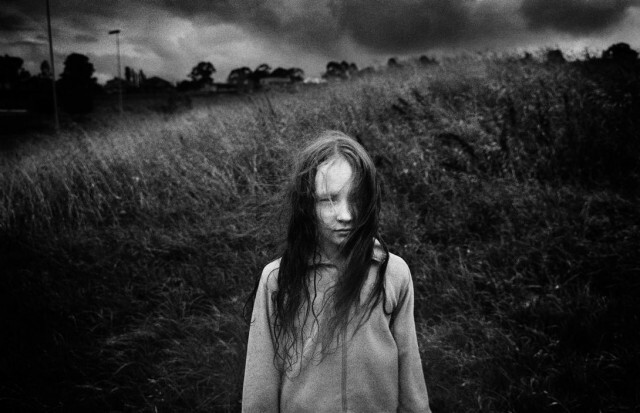 I can’t get enough of Trent Parke’s work. The etherial inkiness of his black and white images are haunting and seem to exist in a thinly veiled reality. Minutes To Midnight is my personal favorite photo book in my collection and it’s amazing to hear him talk about its creation. You can hear the passion in his voice and you get the idea that his work is an honest expression of himself and the world at the same time. Minutes To Midnight is a tremedous piece of work and should be in every photographer’s collection. 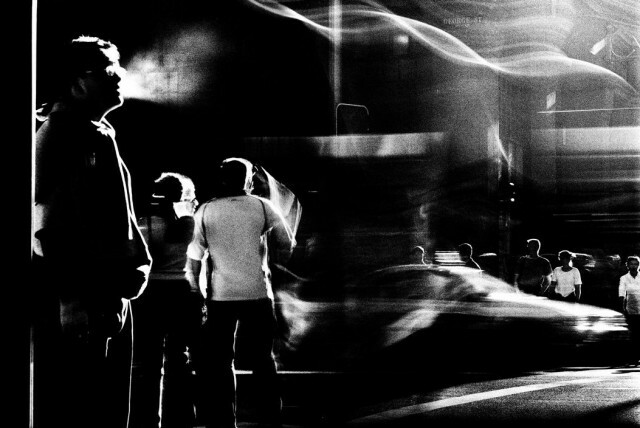 What’s your take on Trent Parke’s Minutes To Midnight? A haunting vision of a world on the edge of change? Or out of touch with the reality of modern life? Post your ideas in the comments below and keep the conversation going!